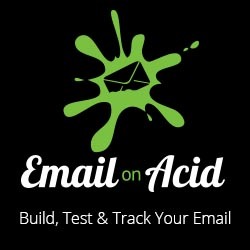 Pseudo-classes such as :hover and :checked are work-horses of interactive email. However you should be aware that the :hover pseudo-class will only activate on certain elements in the iOS email client and knowing this can save you some headaches when troubleshooting your interactive email designs. The :hover selector will only be triggered if the element that is targeted is a link, image or a label. Since there is no “hover” action on touch devices, the :hover selector becomes activated when the user taps on an element. Applying the :hover selector to other elements will do nothing when the element is tapped. Interestingly, the :hover selector will not be active on labels if the labels do not target a form element (ie. the “for” attribute in the label does not target an id of a form element). It should be noted that in Outlook for iOS, when a user taps on a link with an anchor placeholder (ie href=”#test”) , Outlook will launch a browser and attempt to load the placeholder link. If you want to apply the :hover selector to a link (vs an image) and have them work in Outlook for iOS, a quick hack is to hide the link and replace it with another element when the :hover selector is active. This may cause the element to “flicker” when the :hover state is triggered in desktop environments like Apple Mail, so you may want to only use this trick with a combination of a media query. For the hamburger menu icon in the Pine Email Framework, I simply used an anchor that has no href=”” attribute. This removes the need for any Outlook iOS fix. Tested on Android 4.4, Android Gmail, Android Outlook, Outlook iOS, iOS Mail, and Apple Mail. Hey Cosmin, I tried removing href=”” from links and I cannot get :hover to work on them in iOS Mail.